Anton Borja is Prince Hyram's ambassador to the Crusader State; a veteran Decados diplomat with postings on Byzantium Secundus and Kish, he was revealed perhaps fifteen years ago as an active Jakovian Agent. Since then, it has been an open secret wherever he is posted that he is a senior Agency official, and on Yathrib, an Agent of his stature is unquestionably the mission chief for the Agency. By reputation, Anton is a rather sinister sort. He played a key role in undermining Li Halan intelligence in the run-up to the conquest of Malignatius, and he has also sparred regularly with the Rooks and the Mutasih. During postings on Severus, there were always rumors of people disappearing into his manor, and he has an unhealthy fascination with insects of all types and Ascorbites in particular. Ilya Anton Borja is a thin man of indeterminate age who seems taller than he is, with a pale face and deep-set dark eyes that seem almost snakelike. 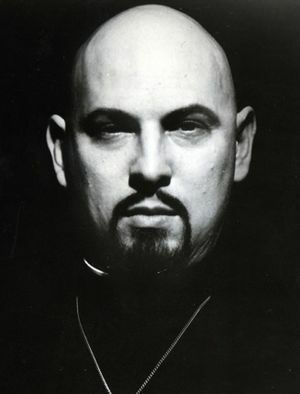 He is pale-skinned and perfectly bald, with black peaked eyebrows and a carefully trimmed goatee that surrounds thin lips. He smiles often, though it has a sort of sardonic note, and when his lips still they instead have an expression of menace. When he moves, it is with coiled energy that projects an overwhelming confidence that radiates out like the heat from a black sun. This page was last modified on 8 June 2013, at 16:02.